André Léon Marie Nicolas Rieu (born October 1, 1949) is a Dutch violinist, conductor, and composer best known for creating an international revival in waltz music with his "Johann Strauss Orchestra". 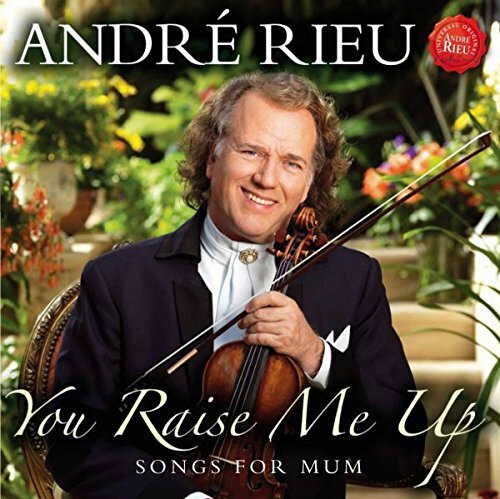 Roses, autumn leaves, a carnival in Venice, a night of stars… these are the ingredients for André Rieu's newest CD "Roses from the South - Songs for Mum". It's a bouquet of simply gorgeous, lush melodies, many of them recorded for the first time by André Rieu and his Johann Strauss Orchestra. Opening with the title track from the 1979 film The Rose, starring Bette Middler (it becoming one of her biggest hit singles in 1980), the album pays tribute to nature in the form of a waltz (Johann Strauss's Roses from the South), a timeless chanson (Autumn Leaves), and a tribute to the night sky via Chopin, in this, the 200th anniversary of his birth (it attained enormously popularity as the song Tristesse [Rossi - 1939], later set to English lyrics and a big UK hit in 1964 for comedian and singer Ken Dodd). No less a hit a year later, 1965, was Nini Rosso's Il Silenzio. It went to #1 in Germany, Austria, the Netherlands, Italy Switzerland and reached #1 in Australia on 1 September 1965 and stayed in the charts for 19 weeks. And speaking of #1 hits, You Raise Me Up, which has chalked up more plaudits and #1s than any other song in recent memory, needs little introduction. Universal. 2010.